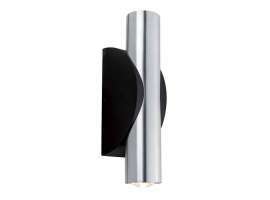 Wall lamps for outdoor use, quality lighting! 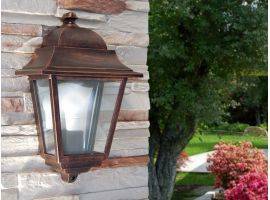 Outdoor wall lamps are fundamental for your house, either you live in single-family dwelling or in a condominium. Anytime we think about outdoor lighting, our minds goes to the garden path, while the proper light is essential in a terrace too, even in the smaller balconies where there isn’t enough space to have dinners. In fact, how many of us keep the trash cans in the terrace? Or a tool locker? 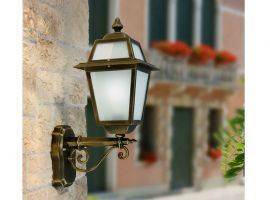 Infabbrica offers you a wide range of outdoor wall lamps to light up your outdoor space. 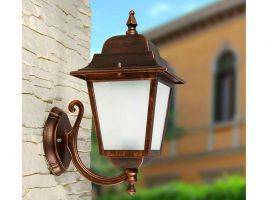 You cannot miss an outdoor wall lamp for your garden! For the luckiest ones that have a garden, besides plants or a hammock, it’s important to take into account a proper lighting project. 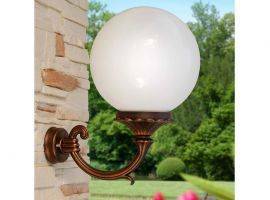 An outdoor wall lamp is fundamental if you want to host relatives and friends for dinners and outdoor parties, to enjoy each other’s company under the moonlight. 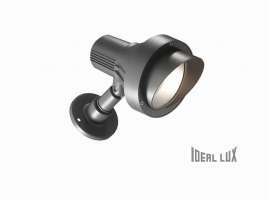 In the same way, an outdoor wall lamp can be very useful in the bigger balconies, because it’s very pleasant to have dinner outside in the warmer seasons, enjoying the atmosphere. However, you have to see what you eat, don’t you? Food is a pleasure for the eyes too! Garden and terrace should be as well-finished as the inside of the house, because a well-furnished house also includes outside areas. Then, besides lighting, it’s very important to choose the proper outdoor and garden furniture. Outdoor wall lamp are fundamental even in winter! Outdoor lamps are very advantageous, above all during the summer, when you have dinner outside, but they are also useful in winter. In fact, it’s good to light up the garden path even in winter, to see better and to keep your house tidy and well-finished. 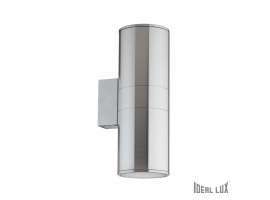 Moreover, we often keep outside tools and garbage cans, therefore a proper lighting is necessary in everyday life. 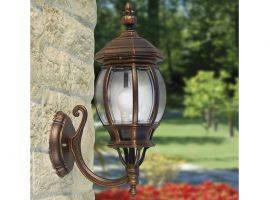 Above your entrance door, there should be an outdoor wall lamp, designed to withstand open weather exposure. The proper lighting for your front door is very important to see clearly while putting the key in the lock or to look for the key into giants and full bags, just like Mary Poppins. Moreover, a well lit entrance together with a design entrance furniture such as coat hangers, a mirror, a glass console table, etc. make your house look more tidy and elegant. Leaf through the catalogue of Infabbrica, where you’ll find different models of outdoor wall lamps. 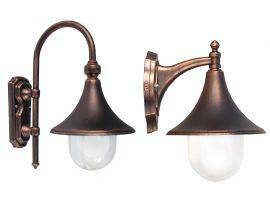 Choosing outdoor lamps may seems a child’s play, but there are several versions of these. 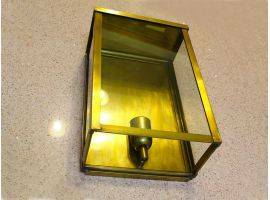 The choice of the right outdoor wall lamp depends on personal needs such as where the light should be placed, but also on personal tastes and on the other pieces of furniture. 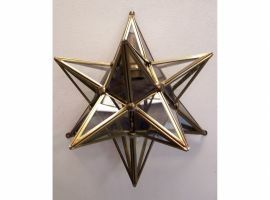 Wall lamps are often called “applique”, a French word that means “decoration”, a term that highlight their main task, that is to decorate the wall, not only to light it up. In our catalogue, you can find modern models, with an essential design, that are suitable for modern and minimal houses. Among these models, there is something to be said for spot wall lamps, that provide a bidirectional lighting. They enlighten in two different directions, upwards and downwards for example. This feature makes them ideal to be placed at the entrance of your house to light up the doorbell, the keyhole and the street number at the same time. If you prefer a classic style, there are lamps in the shape of an antique lamppost. Lamppost are made of wrought iron that give it a touch of antiquity with traditional and romantic design decorations. Choose Infabbrica, choose a design lighting for your garden! Infabbrica has everything you need for your garden: tables, chairs and sun umbrellas… and lighting is fundamental to make the most of your outdoor areas. 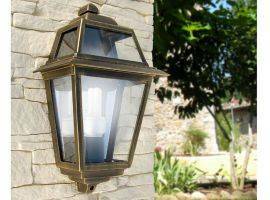 Choose your outdoor wall lamps for your garden, your terrace and for your entrance among our proposals. If you need some advice or assistance while purchasing, our experts are online for you, so write us on our chat, mail us at info@infabbrica.com or phone us at 0721-580999. Small details are important, choose quality and design with Infabbrica!